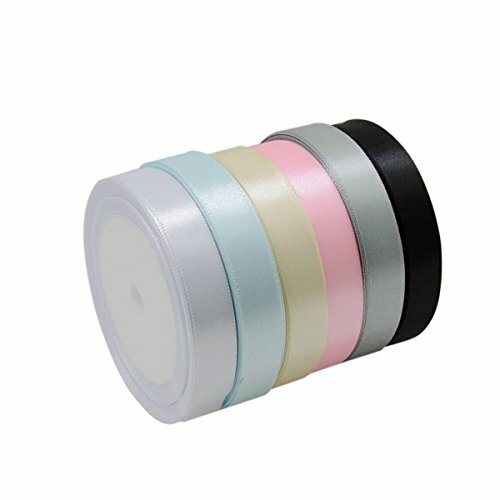 Soft and silky 2- inch by 50 yard roll of single sided satin ribbon. Make beautiful bows for wedding bouquets, gift wrapping, gift baskets, hairbows and much more. Available in a variety of colors and sizes. Comes in 3/8 , 5/8, 7/8, 1 1/2-inch widths. 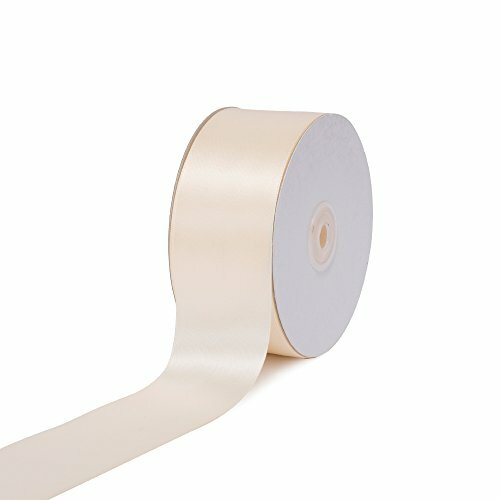 Soft and silky 3/8- inch by 100 yard roll of single sided satin ribbon. Make beautiful bows for wedding bouquets, gift wrapping, gift baskets, hair bows and much more. Available in a variety of colors and sizes. Comes in 3/8, 5/8, 7/8, 1 1/2-inch widths. 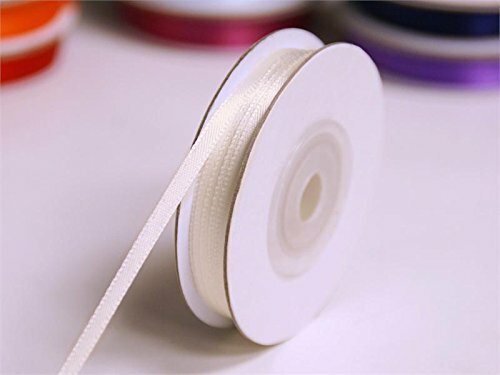 Soft and silky 1 1/2 inch by 50 yard roll of single sided satin ribbon. Make beautiful bows for wedding bouquets, gift wrapping, gift baskets, hair bows and much more. Available in a variety of colors and sizes. Comes in 3/8, 5/8, 7/8 inch widths. 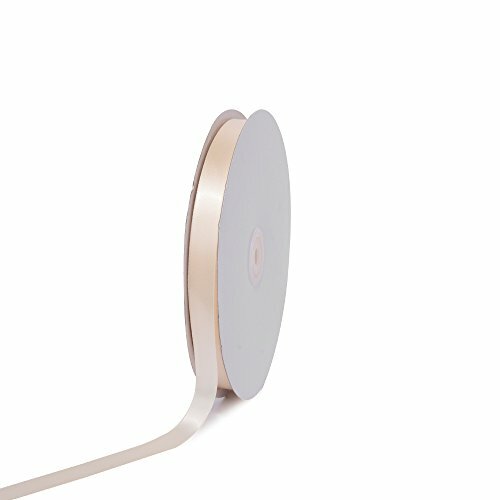 Soft and silky 7/8- inch by 100 yard roll of single sided satin ribbon. Make beautiful bows for wedding bouquets, gift wrapping, gift baskets, hair bows and much more. Available in a variety of colors and sizes. Comes in 3/8, 5/8, 7/8 inch widths. 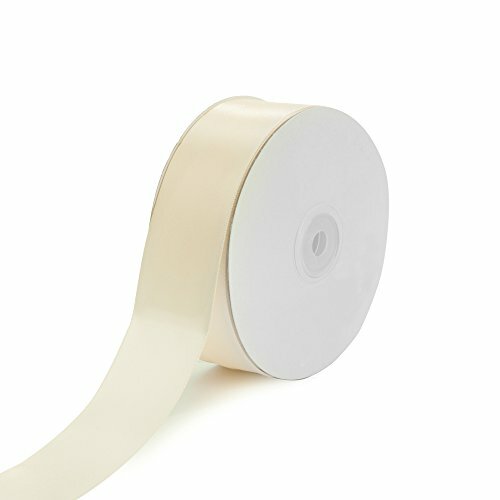 Soft and silky 5/8- inch by 100 yard roll of single sided satin ribbon. Make beautiful bows for wedding bouquets, gift wrapping, gift baskets, hair bows and much more. 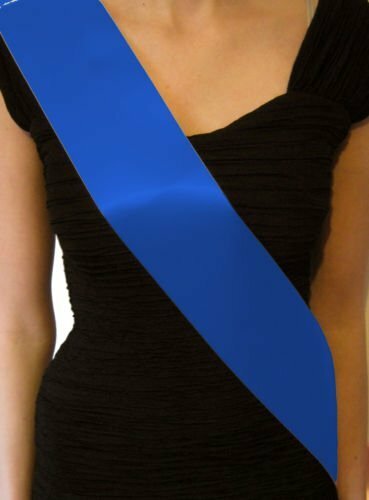 Available in a variety of colors and sizes. 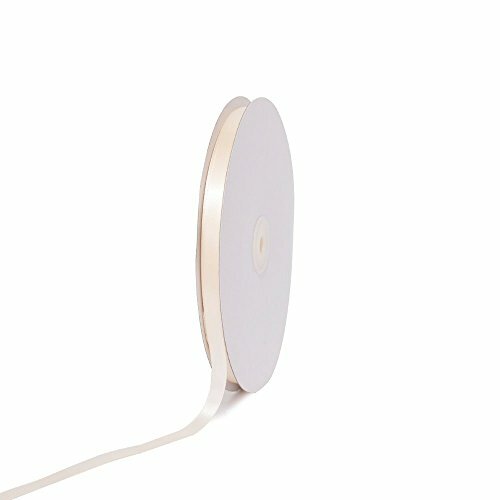 Comes in 3/8 , 5/8, 7/8, 1 1/2-inch widths. 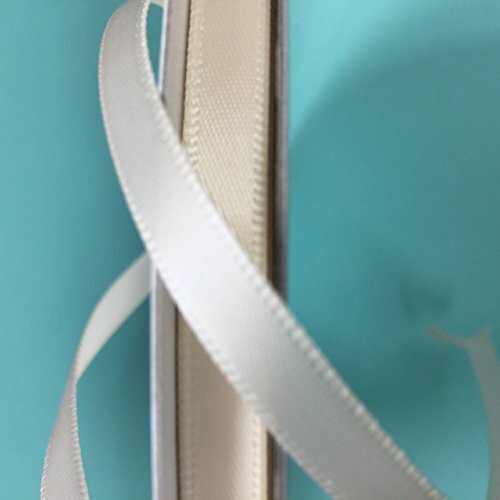 1/4 inch satin ribbon single sided SAP14-1/4 COLOR: 810/IVR 100% POLYESTER*100YDS Shop Lovely, Be Lovely! Specifications: Each ribbon roll length: 25 yards/ 22.86 meters Width: approx. 16 mm/ 0.63 inch Color: 6 bright solid color as picture Material: polyester fabric Quantity: 6 rolls Package includes: 6 x Satin ribbon rolls (1 roll for each color) Notes: There may be color aberrations between the products' images and the material objects, for the color of the products please refer to the material objects. 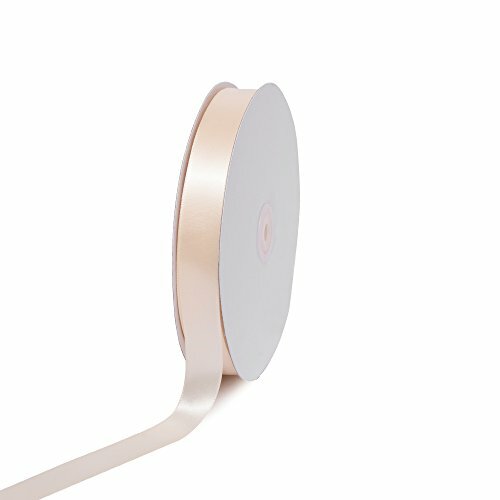 Manual measurement allows 1 to 2 mm error.